Instructables has a good tutorial on creating a low cost surveillance camera. 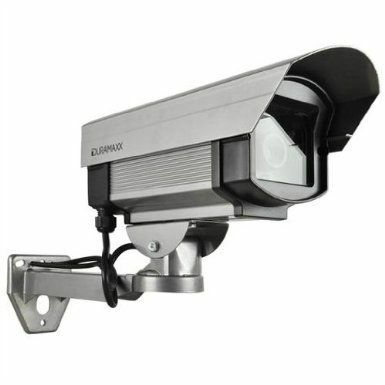 Essentially makes use of a Pi, the Camera module and fitted into one of those inexpensive fake surveillance cameras. It uses motion for the motion detection software.